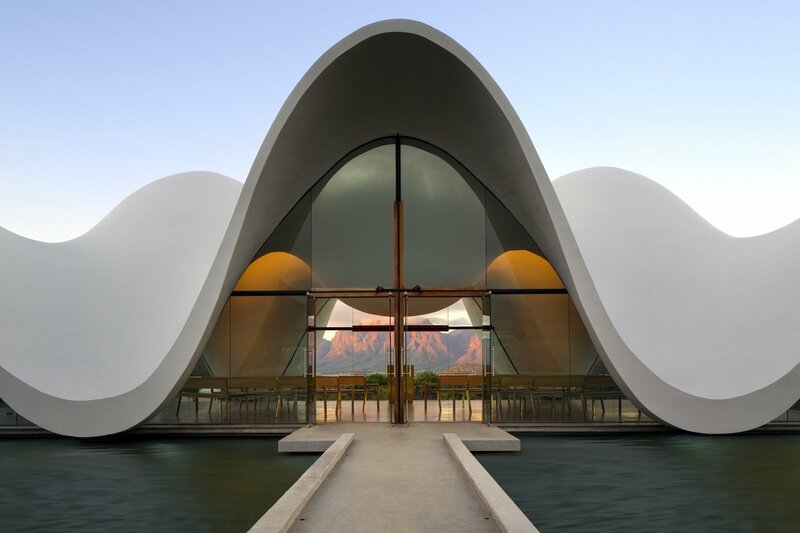 There’s a touch of the Sydney Opera House about this chapel in South Africa. 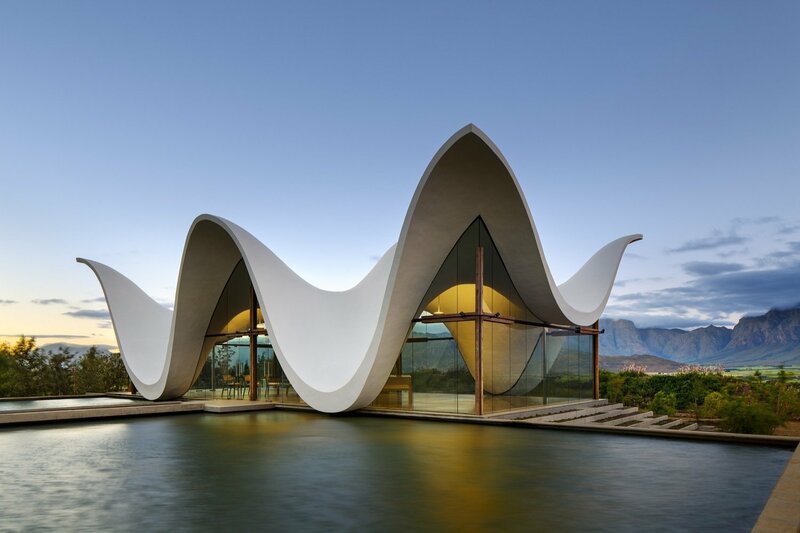 And just as the Sydney Opera House emulates the sails and waves of Sydney’s harbour, the Bosjes Chapel seeks to capture both the historic Cape Dutch gables, and the outline of the surrounding mountainous landscape on which these gables can be found. 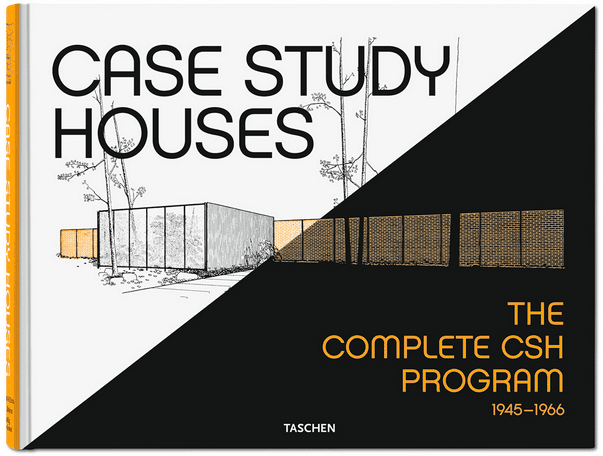 It’s an impulse that goes right to the heart of modern architecture: to have the building somehow resonate with the wider landscape. Its executed really well here. 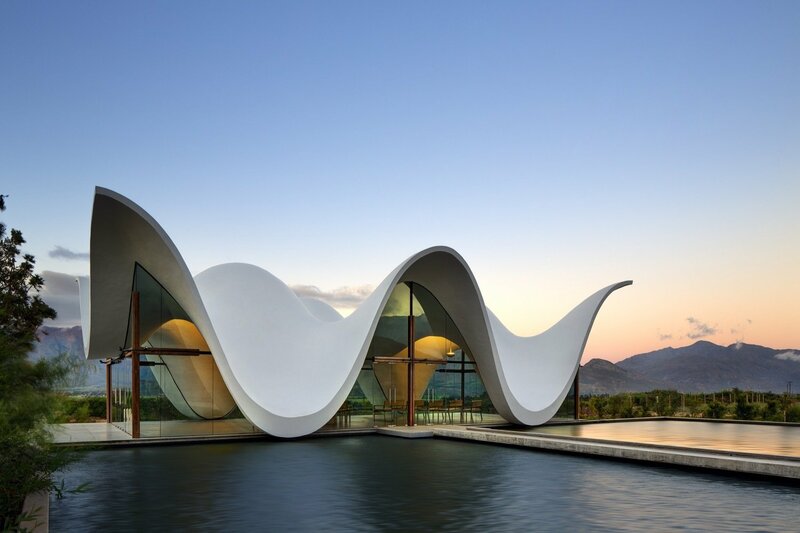 Located in the Breedriver Valley, at the foot of the Waaihoek Mountain, in the country’s Witzenburg Municipality, the chapel forms part of a complex of buildings constructed in 2016 by London-based contemporary architecture firm Steyn Studio (headed up by South-African born Coetzee Steyn) and local TV3 Architects. It’s a deceptively large complex, due mainly to the concealment of several other buildings that cater to the range of activities the chapel hosts, a decision which really highlights that spectacular roof. And while concrete was still used for the floor, it too is polished in a lovely, rich, earthy texture. 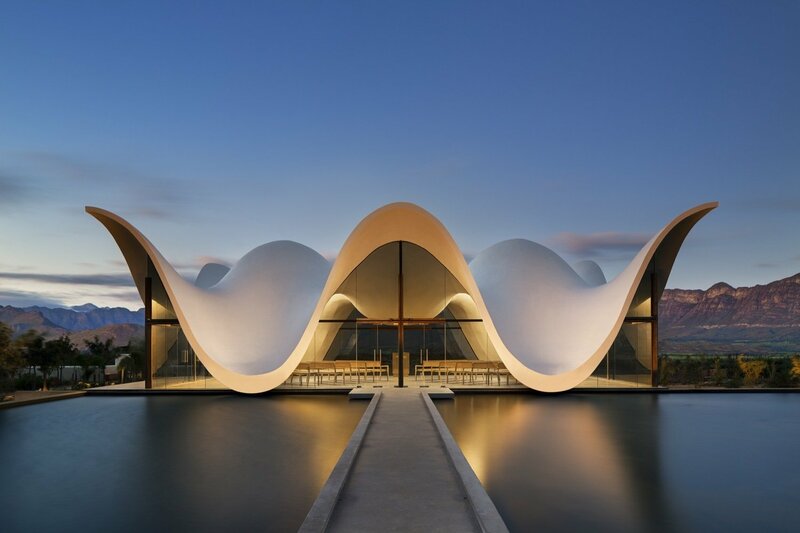 Taken with tThe first thing that struck us about the roof is its remarkable lightness, something which is heightened through several key aspects of the design, including a reflective pond, and the building’s elevation upon a plinth. The interior plays an equally important part, with the whitewashed ceiling and highly-polished terrazzo floors bringing into relief the play of light and shadow cast by the sun as it interacts with the structure throughout the day.he stone workings, the shell is already quite beautiful, but it is also filled with some rather nice, simple pieces of furniture, especially the several Danish modern cabinets that appear in the corners of the living area. There’s also some clever cultivation of the immediate surroundings, in particular the introduction of a vineyard and pomegranate orchard. These have the effect of embedding the structure in a cushion of greenery, and provide a welcome disruption of the arid landscape. Upon repeat viewing the roof also emerges as a self-evidently exceptional piece of engineering. It has been fashioned so that it supports itself. 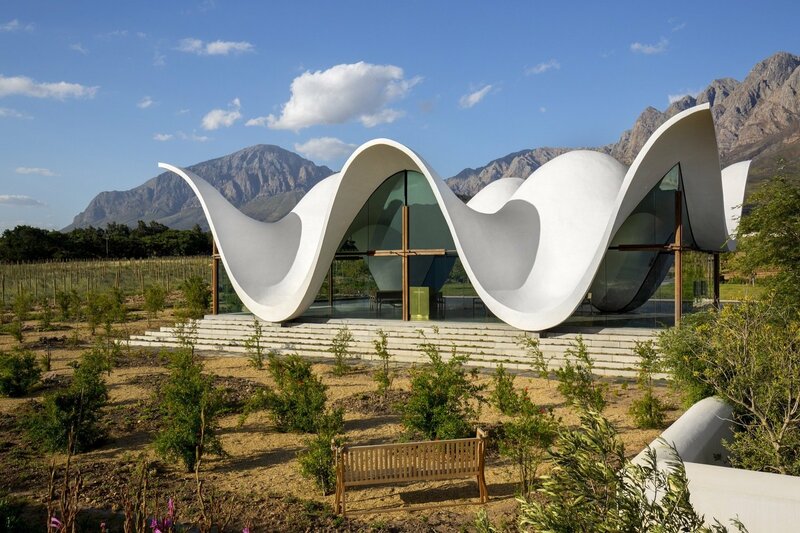 Constructed from a slim concrete cast shell, the shape makes way for large windows which nicely frame views of the nearby vineyard and the mountains in the distance. With the introduction of a crucifix to the composition of the central window, it’s no doubt a stirring place to be contemplating the bigger questions.